After working in creative businesses for over a decade, Helen Johnson decided the time had come to set up her own consultancy. 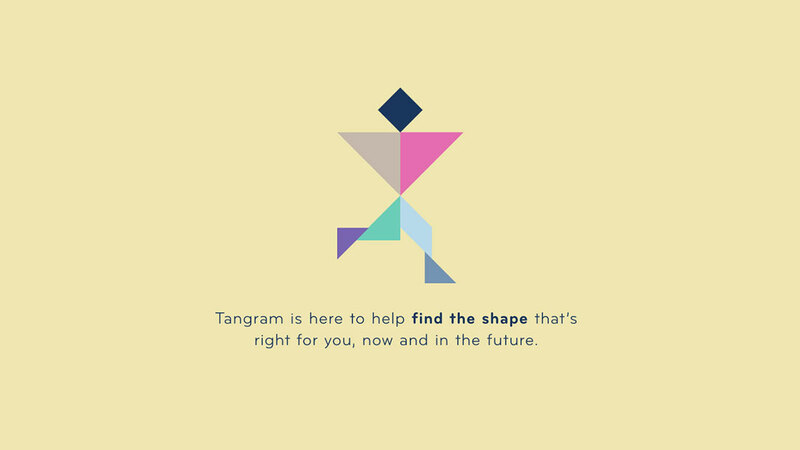 She’d already decided on a great name: Tangram (which is a 19th century puzzle comprising seven geometric pieces). What she needed next: a clear brand identity to bring this name to life. 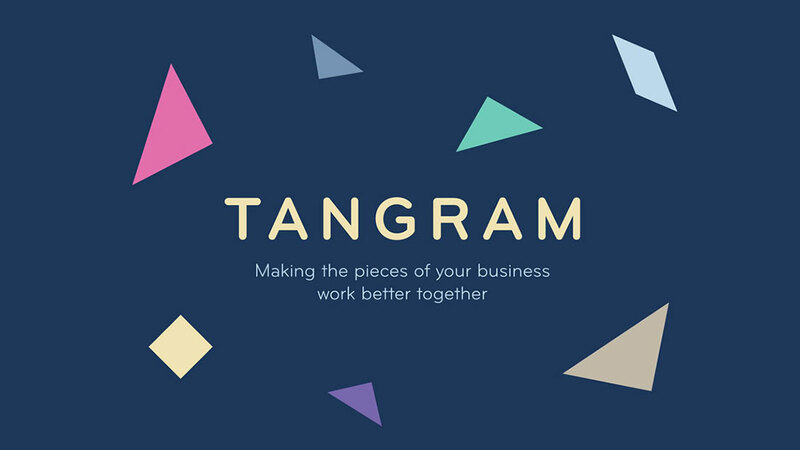 Working together with Helen and the design team at McCartney Design, we developed a colourful and engaging identity around the ‘Tangram’ concept. Helen’s business is all about coordinating different aspects of creative businesses to drive efficiency, which we expressed with the tagline “Making the pieces of your business work better together”. 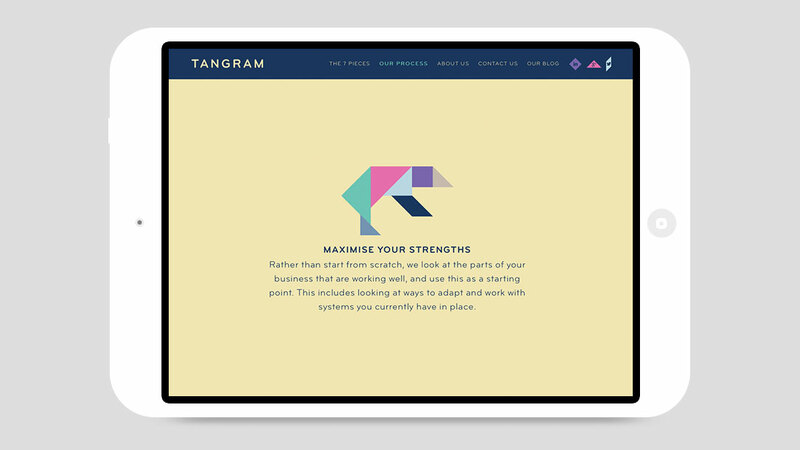 Using the seven pieces of the Tangram puzzle, we then developed seven ‘personality types’ that are typically found in creative businesses: from the big picture visionaries, to the shepherd who keep things on track. Our reasoning was that, while Helen works with all sorts of creative businesses (designers one day, architects the next) these would be roles that all her potential clients would recognise. As well as crafting Helen’s brand story to explain her offering (the what), we wanted to shed some light on her actual process (the how). 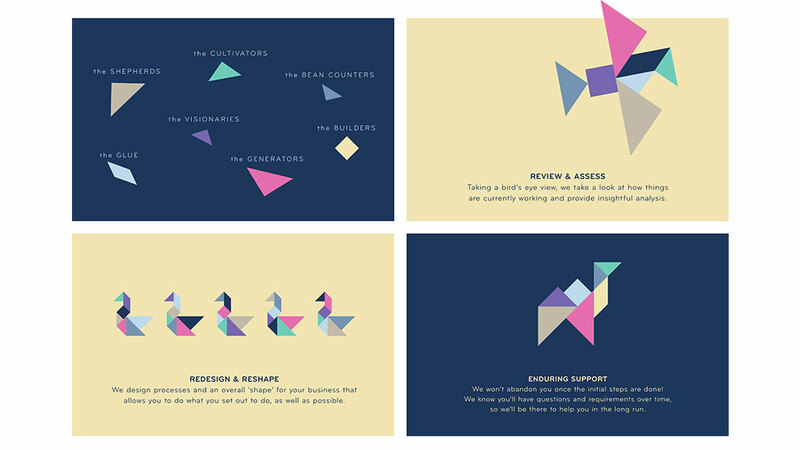 So we used our Tangram shapes to create a sequence of shapes to visualise the life cycle of Helen’s services offering. 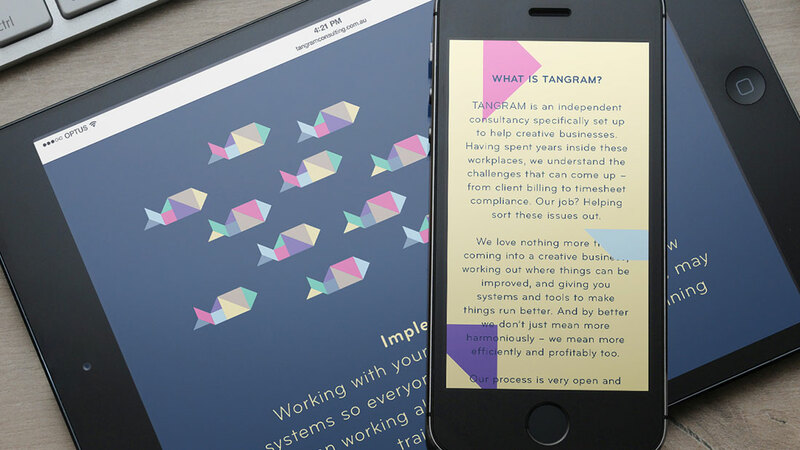 Our visual and verbal identity was brought to life in a suite of communication materials, and of course a website which you can check out here. 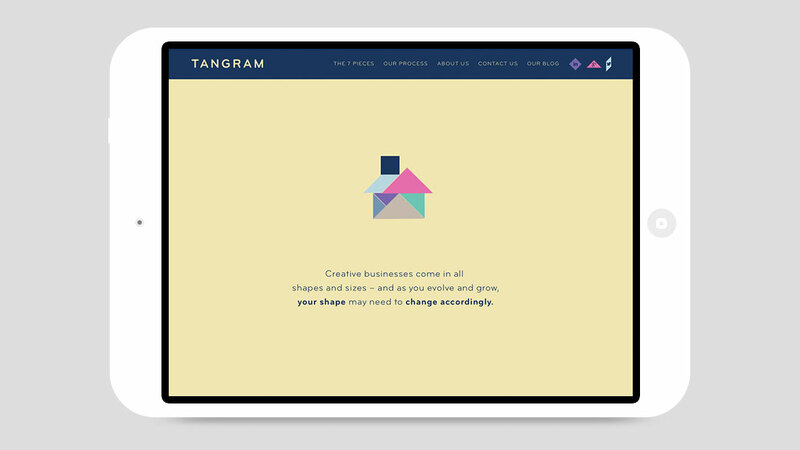 Being a creative business, it was a lot of fun to work on a project aimed at ‘people like us’ – and we had a blast figuring out how to use the Tangram concept to illustrate how creative businesses work. Helen was a fantastically open and receptive client, and it really felt like a team effort. Definitely a great example of words and pictures working together to create a system that’s as practical as it is original. Thanks for playing, Helen!